A huge swarm of bees brought rush hour to a standstill in Greenwich, southeast London, on Tuesday night. Thousands of bees caused frightened pedestrians to duck for cover on Greenwich Church Street, close to the famous Greenwich market. Footage posted on social media shows a “biblical scene” of insects buzzing around, with onlookers bringing traffic to a standstill. 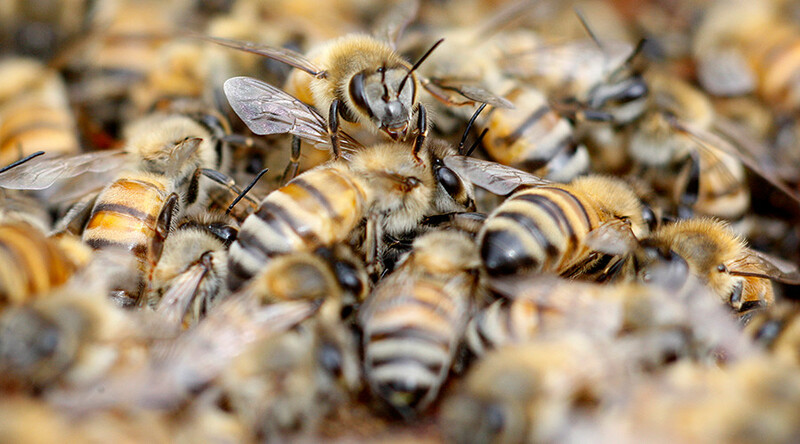 Abigail Hering, who posted the footage on Twitter, said she saw the bees congregating around the traffic lights as she left her nearby Beadoir jewelry shop. — Beadoir (@BeadoirLondon) 16 мая 2017 г. “When I left work, I went to walk towards my car, they were on the traffic lights. “Millions of them on the traffic lights. And then at that point they’d come lower so they were actually buzzing around the people,” she said, according to the Daily Mirror. “And while I was videoing them I looked down and I could see literally the front of me covered in bees. They were on me. Phil Clarkson, from Brockley Bees, said although no one was stung, people were “understandably” concerned. Transport for London (TfL) Traffic News tweeted a picture of the bees resting on the traffic lights.